As computers become more commonplace, they are revolutionizing almost every aspect of human life. One aspect of life which computers are impacting is the way people learn. The penetration of computers into the learning sphere has led to a rise in something called “virtual learning”. Virtual learning is basically the use of computers to deliver instruction to learners or students. Unlike traditional learning which involves physical interaction between students and teachers, virtual learning doesn’t involve physical instruction. It uses computer software or an internet connection to facilitate the interaction. This type of learning can take the form of computer-based learning (where a student receives instruction from a computer installed software). It can involve remote online learning (where a student receives instruction from a teacher via the internet). It also involves interactions between learners through online communication platforms as they share experiences and collaborate on learning projects. Virtual learning is also referred to as digital learning or “e-learning”. As virtual learning becomes increasingly popular, so do myths about it. Some of these myths are simple misperceptions. Debunking them is essential to enjoy the full benefits of virtual learning. The fact that learning takes place through the computer doesn’t mean that students will necessarily spend all their time at a computer. Depending on the subject of the study, students can carry out activities like library research, drawing, lab experiments, social interactions and collaborative projects. Some virtual schools even organize periodic school trips for learning purposes. The bottom line is that despite the fact that virtual learning mostly takes place through computers, it is not the only format through which actual learning can occur. The idea here is that virtual learning eliminates the need for teachers. This is a misconception for two reasons. First of all, virtual curricula are typically developed or adapted by certified teachers. As such, even automated learning software involves an input from teachers at a certain point. Secondly, there are situations in which the physical presence of a teacher figure is inevitable. This is true, especially where young children are involved. They may need someone to offer guidance, demonstrations and supervision. This someone may be termed a Learning Coach or may even be a parent. However, the role they will play is that of a teacher. Therefore, claiming that virtual learning eliminates the need for physical teachers is quite erroneous. Most people imagine that virtual learning succeeds or fails with technology. The assumption is that once you have the right technology in place, everything will work out perfectly. This couldn’t be further from the truth. The fact is that technology is simply a conduit for learning. The most important aspect is the curriculum or material which is being learned. As such, the main focus should be on finding the best way of passing the material in a manner which is fun, effective and understandable for the learner. Unless this is considered, all the technology in the world will not make people better learners. Social interaction has always been a key component of the learning process. In the traditional classroom setting, interaction is guaranteed by the proximity that students have to each other. In a virtual learning environment, such proximity isn’t obvious. As such, there is a common assumption that social interaction tends to be limited for students who learn virtually. This isn’t at all true. 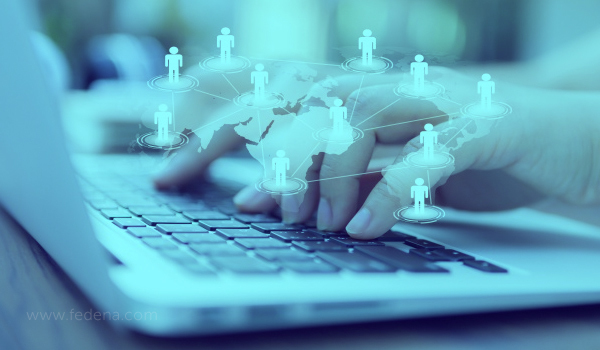 In a virtual environment, social interaction occurs via IM, email, Skype and social media platforms. Besides that, there are opportunities which are created for face-to-face interactions between students and teachers. For instance, some virtual schools organize school trips, as well as collaborative programs in which students can meet and share their experiences. Virtual learning has always been considered something of an alternative to standard traditional learning. As such, most virtual schools tend to focus on recruiting those who are homeschooled. In doing this, they end up missing an opportunity of recruiting students who haven’t been homeschooled. The simple fact is that almost anyone can benefit from a virtual learning program. Those who are home schooled may be more likely to sign up for these programs. However, even non-homeschooled students can benefit from it. This is the reason why many educational institutions provide virtual learning programs for their students – even those who attend traditional classrooms. 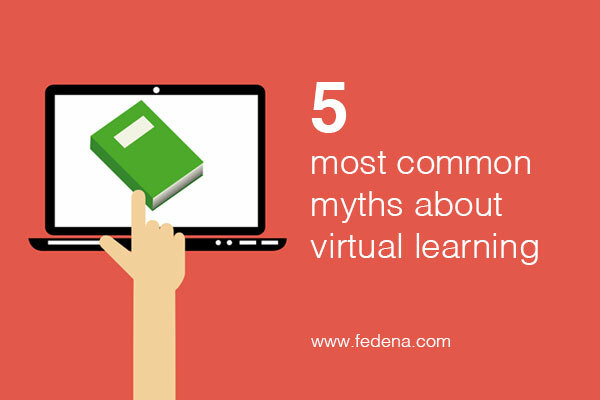 In a nutshell, these are the 5 most common myths about virtual learning. These myths can form perceptual blockages which can limit the potential benefits of this type of learning. As such, debunking them is a critical step towards unleashing the full potential of this new type of learning.